Shawn Cipa Over the years, the story of the nativity has been depicted by thousands of artists, in ca variety of art forms. But, when one thinks of a nativity, visions of a hand-carved wooden set often come to mind. Now, carvers looking to create a family heirloom of their own will learn to carve a full 15-piece manger scene with award-winning artist, Shawn Cipa. First, you will learn to carve and paint the 3 central figures: Joseph, Mary and the Holy child through full-color, step-by-step carving demonstrations. Then, you will find front and side-view patterns for an additional 11 figures. Each project features full material lists and painting color schemes to help bring your carving to life. A construction pattern for a simple stable rounds out the scene. Shawn Cipa After mastering traditional water-spouting gargoyles and classic grotesques, a pattern gallery of rowdy characters and functional projects—including a gargoyle cane-topper, a green man door knocker, a crouching imp, and a screaming keystone grotesque—provide new challenges for experienced carvers. A directory of where to find surviving gargoyles around the world complements fascinating information on the symbolism, legend, and lore of each spirited creature. Easy-to-Make and Fun-to-Give Projects for the Holidays Diana Thompson The clever yet simple technique of compound cutting on the scroll saw yields impressive results, especially when guided by expertly crafted patterns. Holiday-themed projects include snowmen, candy canes, tree-topping ornaments, Christmas napkin rings, Santa and his sleigh, and many more intricate and beautiful designs. Each project contains a list of necessary supplies, step-by-step instructions, and how-to photos. 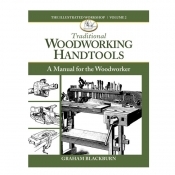 General scroll saw advice and troubleshooting is also featured.